Advertisers have done a wonderful job through media markets to convince that their product is superior to the water that comes out of your faucets. It wasn’t that long ago that bottled water was almost non existent and everyone drank what came out of the tap. Today it seems that most people feel they are putting themselves and their children in some type of danger if they give them tap water. 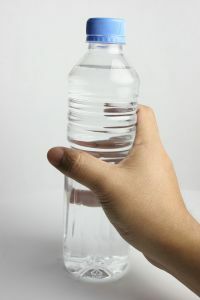 If you can, simply stop buying bottled water and drink your tap water by simply refilling empty bottles with tap water. If that won’t work in your situation, opt for purchasing a simple water filter to take away taste or color issues you may have. Purchasing a water filter such as a Brita water filter will be much less expensive than bottled water over the long run. You can read how I save over $1000 a year drinking tap water since I stopped drinking soda. Sometimes the best deals you can get on fresh produce is not on sale in your local supermarket. Finding other outlets where food is sold can save you money and introduce you to different varieties of fruits and vegetables that you won’t find in the grocery store produce section. Farmers’ markets are an excellent source of fresh local produce. Since the produce sold at these markets are locally grown, they tend to be much fresher compared to grocery store produce that has been shipped thousands of miles. The local produce also tends to be less expensive that produce in the grocery store since you are purchasing it directly from the grower and there are no middle men to pay. Purchase Seconds: Seconds are perfectly edible produce that may not look right or have minor damage. Sellers will usually keep these in their trucks out of view and will often sell them for a discount. 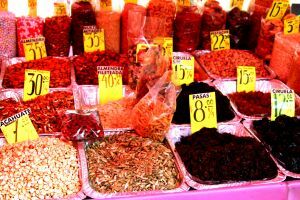 Purchase In Bulk: If you are going to be purchasing a lot of a certain type of produce, ask up front what type of discount the seller will give if you buy in bulk. Purchase At Closing: In the last hours before the farmers’ market closes, you can get great deals since most sellers would rather sell the produce even at a slight margin than haul it all the way back home. Simply ask what is the best price they are willing to sell for as they are packing up. Sample: If you see something that you have never seen before, ask. Sellers will be more than willing to explain and give a small sample for you to try. Local farmers will often grow produce varieties not found in supermarkets with a wider variety of flavors. By sampling, you know you will be buying something you truly like and won’t be thrown away once it is taken home. The first step is to locate a local farmers’ market in your area. You may have already heard of one, but never gone. If you haven’t, check the local paper for advertisements and ask friends. If you are able to locate one, make sure to mark it down on your calendar on what days it is held. A farmers’ market will give you an alternative place to purchase some of your produce at great prices. Whatever you buy to drink when you’re outside the home, you’re most likely paying more for it than you should be. While you have probably heard a million times it’s less expensive to bring your lunch to work rather than purchasing it, you may not have considered the effect of purchasing drinks while away from home. If you spend $1 a day, 5 days a week, you’re spending over $250 a year for your drinks. This price can easily be reduced by 75% by simply purchasing the drink yourself and bringing it from home. Best of all, it takes little effort to do so. 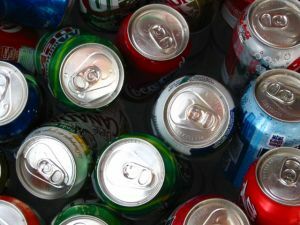 If you drink soft drinks, you can get brand named cans for $0.25 a piece or less (an non brand names even cheaper) by purchasing them on sale or at a warehouse club. If you’re a coffee drinker, you can get premium grounds for a fraction of the cost of buying coffee at a coffee shop. Buy yourself a good thermos and an automatic coffee maker you can preset the night before so that the coffee is ready when you leave each morning. These investments will pay for themselves in no time. If you drink fruit juice, purchasing individual containers on sale or at a warehouse club will greatly reduce their cost. You can save even more by purchasing them in large containers and putting the juice into a thermos or making the fruit juice from concentrate. Taking a few minutes to decide to get what you already drink from the least expensive source will put a couple of hundred dollars in your pocket at the end of the year. As we continue our Financial Challenges to save money, we still have a number of areas where we can accomplish painless saving – getting the things that we’d normaly purchase, but at a better price. Today we are going to focus on grocery shopping. While many people know that gathering coupons and shopping at different stores for the best prices can save a lot of money, there is actually a simple way that you can do all your shopping at a single store and get the best prices from all around your area. 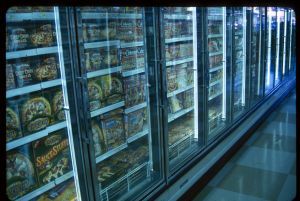 The key is finding a grocery store that will honor competitor’s advertised prices. While many stores will do this to keep customers from going to the competition, most will not openly advertise that they do. You can ask the sales clerk and if the sales clerk can’t give you an answer, you can ask the store manager. If you can find a store that will accept competitor’s advertised prices, in most cases you’ll have to bring the competitor’s weekly sales advertisement to provide proof. These will come in your Sunday and /or mid-week newspapers, sometimes in the mail and you can also check out all the weekly advertised grocery prices online. 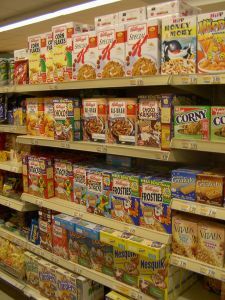 You most likely won’t be able to switch similar items (to qualify it must almost always be the exact same item), although stores will often match prices on competitor’s store brand for their store brand. In addition to getting the best price on all the items you purchase, you will also save yourself time and gas. Since you will only have a single store to shop at, you won’t have to drive all over town to get the best prices saving the cost of gas between locations and the time of going from place to place. 1. Start at the most convenient store near you and ask the store clerk or manager if the store will accept competitor’s advertised prices. 2. If they do, ask exactly what you need to provide to receive the competitor’s price when shopping. If the policy is one that is at the manager’s discretion and not the cashier’s, ask him to write a note so he or she doesn’t need to be called to the register each time you check-out. 3. If the first store won’t match competitor’s prices, move on to the next most convenient store until you find one that does. 4. Set up a system where you check all the weekly price circulars either online (and print them out) or when your newspaper comes so that you always have the circulars with you to take advantage of the savings. 5. Once you have located a store that will accept competitor’s advertised prices, you have instantly turned several trips into a single one while saving yourself a significant amount of both time and money – and still getting the exact same items you would have purchased anyway. There are a couple of ways you can calculate the savings to place toward paying down your debt or into your simple investing plan. You can take the price difference between the grocery store where you purchase the item and the one where it is the least expensive. You can also calculate how much you save from not having to drive to several different stores and use that set amount each time you go grocery shopping. The most important thing is to make sure to place the savings toward your chosen plan rather than leaving it mixed in with your everyday spending money.